In this episode John discusses how to exercise anywhere! Maybe you can't afford a gym membership or you are still feeling intimidated to go to the gym. These tips are great for anyone! Traveling or wanting to do at home activities you can do it! 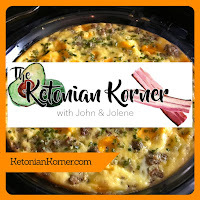 In this episode John and Jolene answer questions sent in by listeners. In this episode John and Jolene interview Tom Naughton - Author and creator of Fat Head Movie and Fat Head Kids: Stuff About Diet and Health I Wish I Knew When I Was Your Age. If you haven't seen this movie, it is a must! Tom is hilarious and extremely knowledgeable.